Happy Thursday! This week has flown! I cannot believe that tomorrow is already Friday! Tomorrow is our last day of school, so I am pretty excited! Cannot believe that another school year has come and gone! I wore this look to work this past week! It is comfy and easy to wear at work. We do not have a dress code, so I am free to wear pretty much whatever I want which is nice! Come share your work style looks with Elle and I! 1. 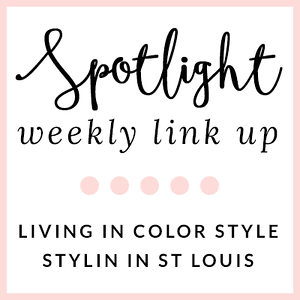 We kindly ask that you follow the two hosts: Elle from Living in Color Style and Jacqueline from Stylin' In St. Louis via Bloglovin or GFC and of course our co-host Missy of Pop of Style. Spotlight: Our spotlight of the week is Marianne of Good Girl Gone Glam blog! Her outfit looks so put together.and she is just amazing at adding her accessories! Her summer hat is the perfect accessory to this fabulous summery look! 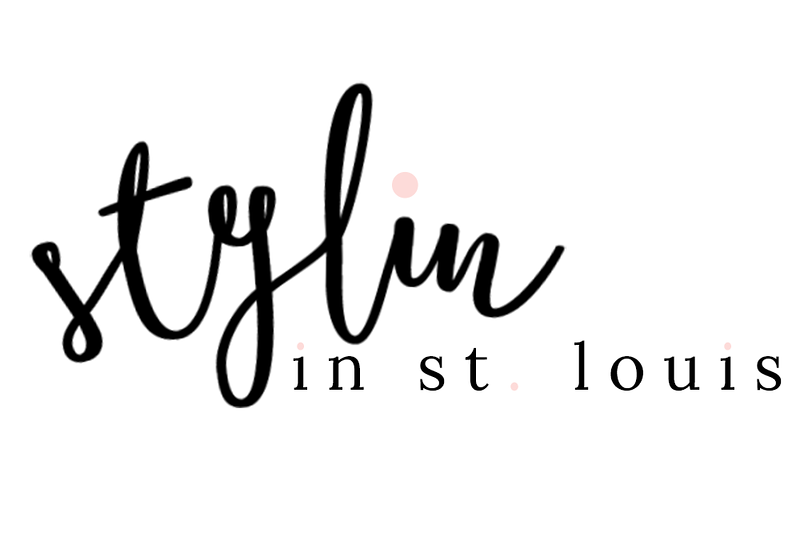 Be sure to check out this fashionista's blog! She is just adorable! Next week: Next week our spotlight weekly theme is favorite sunnies! Thanks for linking up! See you next week! Such a fun look for work! Love the leopard, green and pink combo! Enjoy your last few days of the school year! Jac you look awesome. I love the Kelly Green paired with the Leopard. I must try this myself. Loved this week's theme also. Enjoy the last days left of the school year and the best of luck. <3 Ada. Oh wow.....you are all looking so gorgeous & chic!! The colors are all so Summer fun!! hey! great post! love your smile! looking beautiful as always! I love this look! 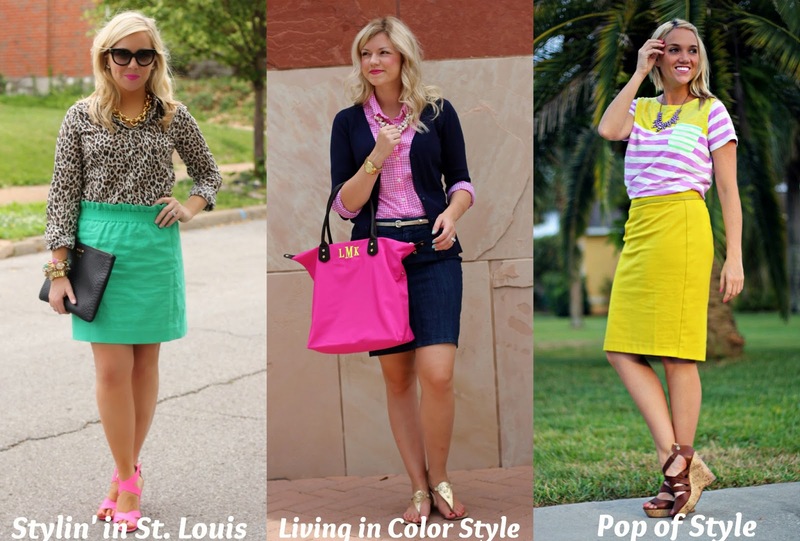 The leopard with the green skirt and pink shoes are stellar! Looking fabu as always! I love all 3 of your ladies looks!!!!!! Love these looks! Looking good, ladies! Love the kelly green with leopard. The pop of pink is so fun! I love your outfit. Animal print and the pop of green from the skirt is so cute!! Love it!! So pretty on you. Is it weird that this made me want to be a teacher, you all look so cute! so colourful and fun, sharing my work look but not a teacher. I love a good pop of color or pattern for the work place! Thanks Darcy! Me too! So much more exciting! It is the best! I love that I can pick whatever I want! I love how you brought the pop of pink with your shoes/lips & bracelets! Happy last day of school! Thank you! One more day! love love love those colors together!!! and i cannot wait for next weeks spotlight, i have so many sunnies i am obsessing over lately! I wish I had summer break. I miss those. Love this look! The leopard and green is a great combo! I love all of the looks, and that it's a familiar face on the spotlight!! I love your mix of bright colors here! Just too gorgeous! Loving the pop of hot pink! One of the most wonderful times in a ballerina's training is when she is given permission to purchase her first set of pointe shoes. Pointe shoes have a reinforced toe area (the box) and sole (the shank) to provide support, allowing the dancer to perform on the tips of her toes and look as though she is gliding across the stage, although the reality of wearing pointe shoes is much less romantic and can actually be quite painful, especially if you have an ill fitting shoe!! I find a website for the Teachers Best Shoes . If you want you can visit this site.